The Filter Queen Vacuum Cleaners are known for their sturdy built and are complete value for money. Mr. E.H. Yonkers invented this vacuum cleaner in 1928 and called ‘Health-Mor Uprights’, which was then later changed into Filter Queen. The canister vacuum is known for possessing an advanced technology that ensures your home always stays clean and dust free. Hence, it comes as no surprise that the filtration system is the most advanced and the most powerful one. The canister is equipped with a cone shaped filter, which pushes the dust particles towards the outer walls when air is sucked in. When the air is passed through the filter, it catches the dust particles. Even though the canister is filled with dirt and dust, the airflow is maintained and its cleaning ability remains intact at all times. Filter Queen Majestic 360°Vacuum Cleaner This is definitely the signature model that combines the 75-year-old traditional craftsmanship with state-of-the-art technology to create one of the finest vacuum cleaners. It is one of the most efficient and effective cleaners that feature the patented cone-shaped filters. Your floors, carpets and furniture will always remain sparkling clean with the vacuum cleaner’s powerful cleaning performance. The on-board tools are meant to offer a variety of cleaning functions. The motor-based power nozzle is ideal for cleaning carpets and furniture since it also protects from nicks and scratches. The cervice tool and bare floor brush clean effectively and quickly. Filter Queen Triple Crown This particular model is known for its superior cleaning powers since it features a host of interesting features. 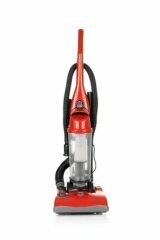 The vacuum cleaner contains a mid-size canister that uses advanced filtration filter cones and features multi stage micro filtration. The power nozzle ensures thorough cleaning of all kinds of carpeted floors. The unit also comes equipped with a number of onboard tools including a cervice tool, bare floor tool, upholstery tool and a dusting brush. Undoubtedly, this organization can be counted among one of the best vacuum cleaning companies. It has known for always creating products that are innovative, powerful and possess the best cleaning mechanism. Built to lasts a lifetime – The models are strong and sturdy and they are known to lasts for years to come. In fact customers have owned a Filter Queen vacuum cleaner for years. Better cleaning system – The vacuum cleaner is a combination of three key features that includes cyclonic action, cone shaped filters and superior filtration system. This advanced technology and design ensure the pollutants don’t escape the vacuum cleaner and help in maintaining a clean and a hygiene environment at al times. Perfect for allergy patients – Filter Queen vacuum cleaners are highly recommended by doctors for patients suffering from asthma or allergies. These cleaners possess unique filters that are supposed to be better than HEPA as it can trap 99.98% pollutants, which accounts for 0.1 micron.